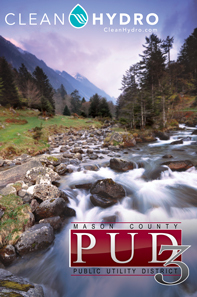 The National Weather Service has issued a flood watch for a portion of Western Washington including Mason County. The flood watch is effective from Tuesday eveing through Wednesday evening. Heavy rainfall is expected along the southwest slopes of the Olympics. Forecasters say the Skokomish River is likely to to flood stage Tuesday night and Wednesday while some portions of other rivers, including the Satsop, may approach flood stage as well. 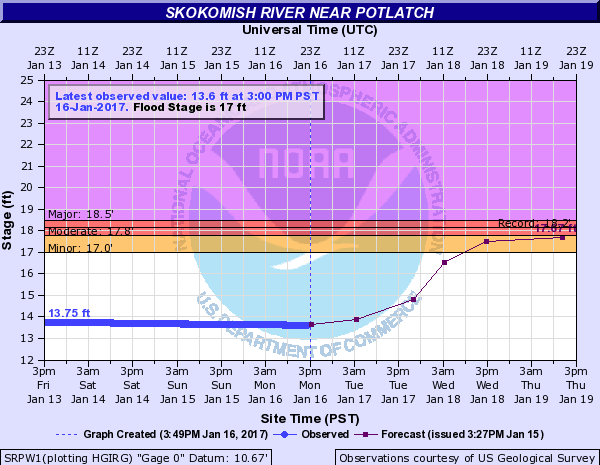 The Skokomish is expected to reach the 17-foot flood stage midday Tuesday and could rise as high as 18 feet.